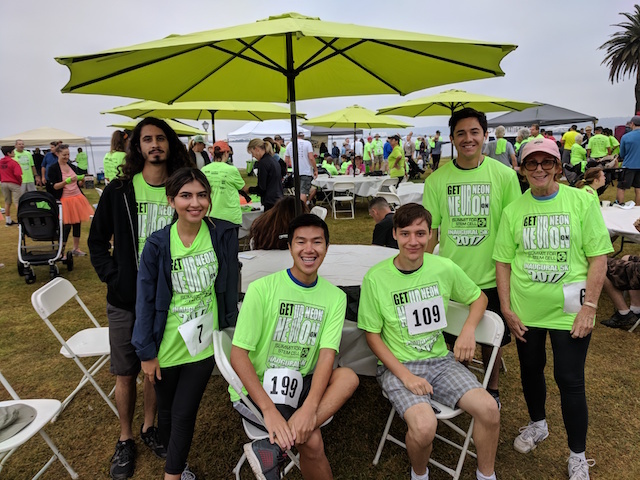 As part of the BSCRIP program’s commitment to advancing stem cell research, the interns took to the streets of Harbor Island to walk in the inaugural Summit 5K for Parkinson’s Disease last Saturday, October 28, 2017. The 5K is a fund raiser in support of the research to treat Parkinson’s Disease, done locally in San Diego. The event was organized by the Summit for Stem Cell Foundation. 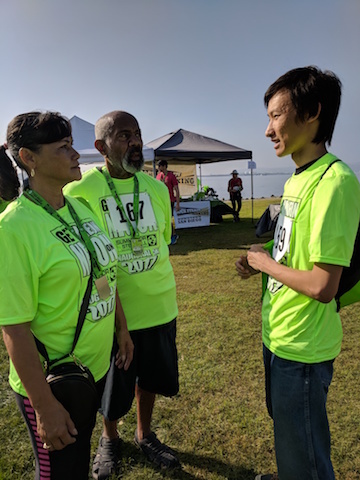 Over 285 participants walked along the San Diego Harbor, including those with Parkinson’s, their families and the researchers involved in the quest for treatment and cure of the disease. Alviin Muliono discussing the needs of a Parkinson’s patient, Art, with he and his wife.